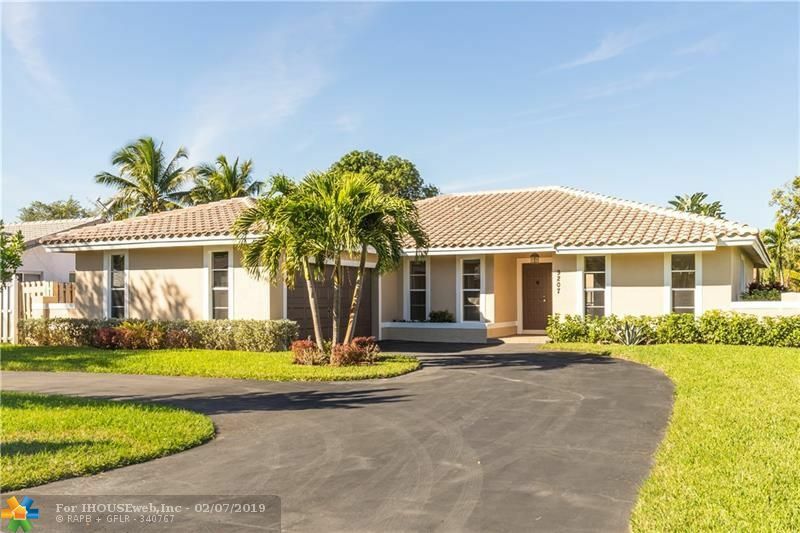 9207 NW 17th St, Coral Springs, FL.| MLS# F10161696 | PRAG Realtors is Broward County's premier boutique real estate agency. South Florida Homes for Sale and Real Estate. We specialize in 1st time buyers, down payment assistance programs, distressed properties, representing Buyers and Sellers. BRAND NEW ROOF! Designed w/IMPACCABLE QUALITY-TOTALLY REMODELED-PROFESSIONALLY LANDSCAPED-4BD-2.5BA-2 CAR GARAGE-2,600 SQ FT total-FULLY FENCED-OPEN & SPLIT FLOOR plan home w/CIRCULAR DRIVEWAY-LARGE CORNER LOT in a HIGHLY DESIRABLE area w/NO HOA. NEW 24X24 PORCELAIN TILE-NEW PAINT INSIDE & OUT-NEW WATER HEATER-NEW BATHROOMS w/QUARTZ TOPS-CUSTOM LAUNDRY ROOM W/GRANITE. ONE OF A KIND kitchen w/NEW WOOD CABINETS w/SOFT CLOSE DRAWERS, complemented by NEWLY installed QUARTZ counter tops, NEW HIGH-END SS APPLIANCES, convection WALL OVEN w/BUILT-IN MICROWAVE, EURO STYLE EXHAUST, LARGE CLOSET PANTRY & OVERSIZED CENTER ISLAND w/STOVE TOP. SPACIOUS MASTER SUITE has EVERYTHING you WISH FOR: HUGE WALK-IN CLOSET, SLIDERS to LANAI, Master Bath w/HIS & HER QUARTZ top vanities, a large ROMAN shower.